However, the Chief Editor of Russia’s “Maritime Bulletin – Sovfraht”, Mikhail Voitenko, disputes reports of a mutiny. He told Moscow-based radio station Echo Moskvy that a boat carrying two pirates was intercepted by US forces as it made its way back to shore from the Faina. He says the pirates still on board the Faina are now trying to force the release of the arrested bandits. Voitenko also said that all the sailors on board the ship are alive and in good health. The Faina was seized by pirates in September as it sailed off the coast of Somalia, apparently on its way to Kenya with a military cargo. The pirates are demanding a ransom and safe passage in exchange for releasing the ship and its crew. The cargo includes 33 Ukrainian-made tanks T-72, multiple launch rocket systems and tonnes of ammunition. The ship is manned by 17 Ukrainian sailors, 2 Russians and one Latvian. The Russian captain of the ship, Vladimir Kolobkov, died from a heart attack shortly after its capture. On Sunday the pirates accused the ship’s owners of attempting to delay the handover of funds. It’s also reported that the gangs of pirates operating in Somalia waters are uniting. 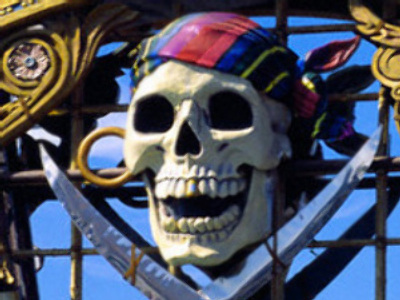 The pan-Arab daily newspaper, Asharq Al-Awsat, says the pirates recently held a three-day summit where they created an eight-strong executive committee, led by king-pin pirate Muhammad Abdi Haer. He’s known as Afyun, or ‘big mouth’ in Somlian. 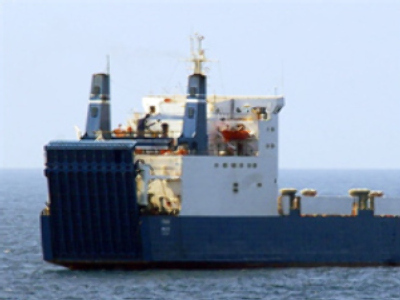 The paper reports that Abdi Haer’s men seized the Saudi supertanker Sirius Star last month and that his son, Abdelkader, is behind the seizure of the Faina. Who will stop Somali pirates?